eCrute is a modern, cost effective, end-to-end solution for all your recruitment needs. With our Video Integrated Platform, eCrute provides a fast and easy way to screen, share, track and communicate with your candidates and clients anywhere, anytime. Spend more time with qualified candidates and deter unqualified applicants from spamming your candidate inbox. With eCrute, you can create a positive experience for candidates that deserve it! Say goodbye to the traditional route of keying in your data. With eCrute’s “Auto-Sync”, your files and contact database will constantly be up-to-date. Always be connected. Candidates can submit their applications at their convenience and you're able to review your most recent applicants while on-the-go. eCrute is your end-to-end recruitment solution. All the tools you require to effectively manage your recruitment operations (CRM, ATS and more) - all under one roof. Share your candidate profile videos, resumes and information internally or with an external hiring manager in a customized, professional web-based layout. Easily review and sort through applicant videos and resumes with our Jobs dashboard and watch how qualified applicants will seamlessly be added to your database. With eCrute Analytics it's easy to track your recruitment progress and capture candidate or recruiter statistics. Bring candidates to life by leveraging modern technology and get a better first impression. Comment on videos, record live interviews or conduct video meetings with our recorded or live video communication tools. 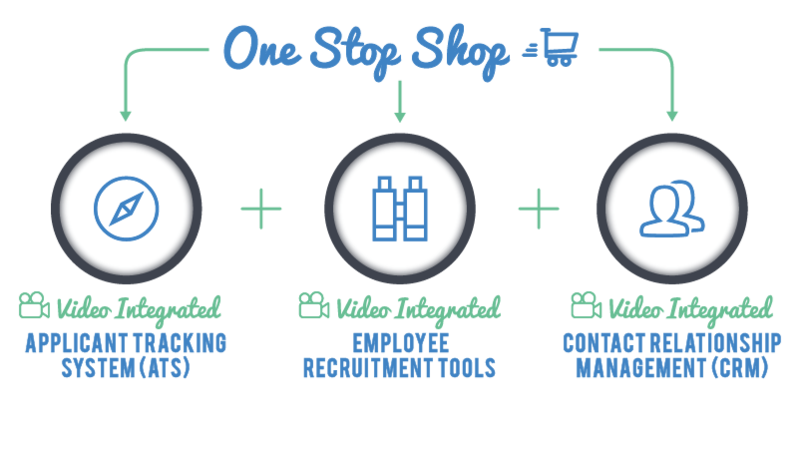 eCrute combines CRM, ATS & video recruitment technology all under one convenient platform! Start with a better first impression.